Why Should You Choose A Tablet Computer ? Home » Featured News » Why Should You Choose A Tablet Computer ? Tablet computers are devices that are being utilized more and more when it comes to the workplace. Many people and companies have found that they are an incredibly useful facility for taking on a number of different tasks and this is why they have become the preferred option in a lot of cases. 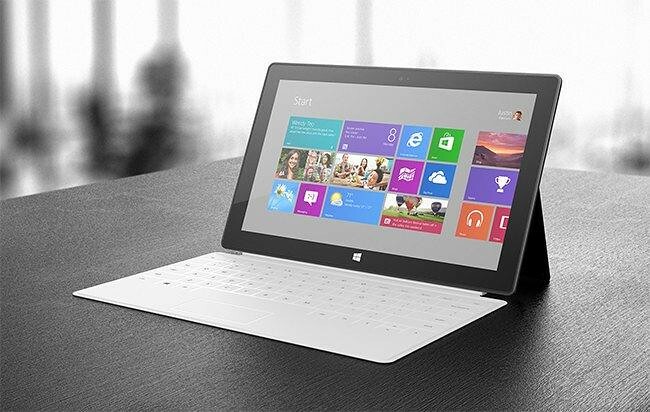 A tablet PC has a number of good points and here are some examples of why you might choose to have one. There are many occasions when it is the easier option to choose to write out notes by hand as opposed to typing them on a computer. If you find that this is the case then the great thing about a tablet computer is the possibility of transferring the notes that you have made on paper onto the PC. Alternatively, if you decide that you want to make the notes on the tablet rather than paper then it is extremely quick and easy to do so. You also have the possibility of keeping them fully organised on the computer which is highly beneficial in the workplace. Tablet computers are superb devices for going about your tasks on a day-to-day basis while adding your very own personal touch to the way you do things. Computers that you will tend to find in a place of work do not always allow this to happen but with the handwriting facility especially you can really make it unique. If you are able to use something that has a high number of capabilities but is also compact then this is a particular advantage to any device. When you have a tablet PC you can take care of so many tasks no matter where you happen to be. Laptops are excellent in many ways and they satisfy needs that a desktop computer is not portable enough to manage, but a tablet can take the adaptability one step further than this. There are variations of a tablet computer and some are even more compact than others. It can be so frustrating using a computer and getting on with the work that needs to be done, only to realise that you are beginning to run extremely low on battery. Sometimes it is not always possible to charge up the device and this can stop you in your tracks. A tablet PC boasts an impressive battery life meaning that there is considerably less worry in this scenario.